We offer a wide range of custom pre-cast steps, including: Authentic Brick, Cobble Stone, real Field Stone. We can even color and add texture to the concrete, adding real curb appeal to your home. Consisting of a one piece precast concrete stair, our bulkheads are the fastest and most economical way to add direct basement access to any home. Installed in just a few hours, these are ideal for new home construction. If you are looking for a landscape block that is large enough for the most demanding jobs, yet small enough to be handled with light duty equipment, our mid size landscape blocks are a perfect fit. Flagg-Palmer Precast is New England’s leading maker of concrete products for homes and businesses. We are located in Oxford, MA in Central Massachusetts and happily travel throughout the Boston area and far beyond to help any new or returning customers with their concrete needs. We are most well-known for our concrete steps, which are sure to add beauty to any home. We offer many finishes to accommodate any décor and we give you increased curb appeal and that finishing touch you are looking for – just the look you need to compliment your home’s entry. We also manufacture high quality precast bulkheads for your basement’s entryway and retaining wall blocks that can be configured in almost any way to blend in seamlessly with your landscaping. Contact us today for a free on-site estimate. 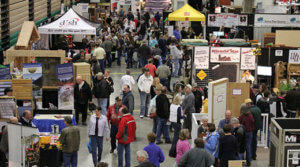 The Original Western Mass Home Show from March 22rd to the 25th.